I’ve been agonizing over the specifics of this itinerary, as I am wont to do. The Florida State League’s propensity for 10:30 a.m. games at this time of year quite often threw a wrench into my plans, as did my desire to spread myself out geographically. I’ve never been to Florida in a so-called “professional” context, but this will certainly give me an ample dose of the Sunshine State. 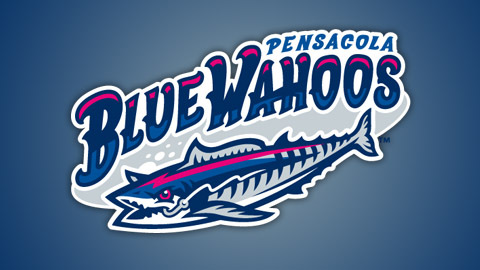 The Blue Wahoos, in their inaugural season, are what first motivated me to head south, and while it would have been easier to travel from Pensacola into Alabama (and beyond) the need to hit new locales before repeating old ones led to the schedule you see above. And now comes the requisite “tell me what to do/who to talk to/where to eat” queries. As always, I will do my best to experience as much as I can while, somehow, maintaining all of my writing requirements and, as an added bonus, not going insane. It’s a lot of fun while it’s happening, and even more fun when it’s over! But I’m just allowing myself to get overwhelmed. I really and truly do love these trips — this is the third year I’ve been doing them (after a few tentative baby steps in 2009), and each year I learn a little bit more about how to go about it. They are, like everything, a work in progress, and the enthusiastic response I’ve received (from readers like YOU) has gone a long way to insure that they keep happening. 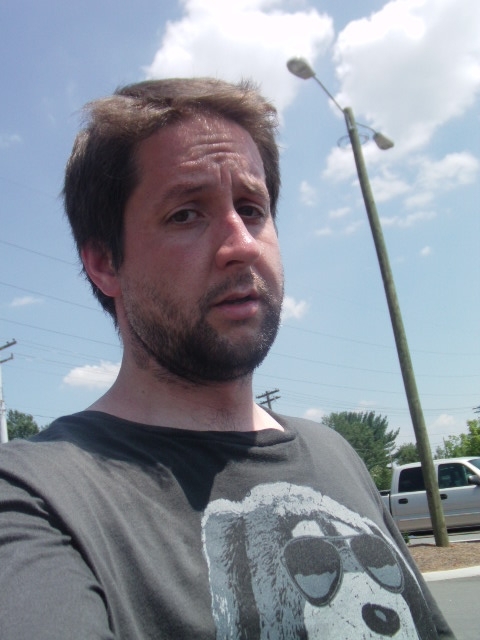 What I look like at the end of a road trip. Clearwater – Lenny’s for breakfast. Right next to the stadium on 19. Other eating options in Pensacola: Hopjacks and Pensacola Fish House. Grand Marlin if you hav ethe time. The only Florida team I’ve been to is the Jax Suns, and had a great time at all of those games. I look forward to your report and pics from Florida, and hope to make that trip one day myself. Have fun!!! In Daytona you have to eat at a hole in the wall NASCAR Bar called The Brickyard. It’s right across the street from Bethune Cookman College. They have the best burgers you will ever eat in your life. In Fort Myers if you like seafood you have to eat at a place called Skip One. It’s a really small hole in the wall fresh seafood market and restaurant. The owner owns a fleet of fishing boats and brings everything in fresh every morning. In Pensacola it’s a must that you go to the Air Force Museum. If possible catch the Blue Angels practicing their maneuvers over the Air Force Base. Since you are doing what I would LOVE to do – I will travel vicariously with you via your blog. I live in Arizona and two years ago made a summer trip to the PCL cities: Albuquerque, Colorado Springs, Lost Wages, NV, and various ballparks of the California League in central and southern California. That was a great trip though there was a lot of mileage between most stadiums. My dream MiLB road trip would be to Mexico and Venezuela in winter for la Liga Mexicana del Pacifico (LMP) and the Venezuelan – la Liga Venezolana de Béisbol Profesional (LVBP). The summer variation on that theme is a Mexican trip to as many cities as possible of la Liga Mexicana de Béisbol (LMB). I love the Pensacola/Bay area (vacationing from Mizzou). 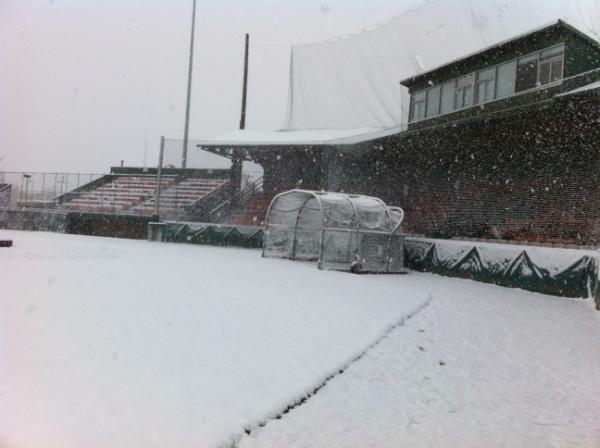 I’ll also be going to Maritime Park and Hank Aaron Stadium this season. Have a great time and give us some great pics. When you are in Lakeland make sure you stop by Henley Field which is where the Tigers had Spring Training before they moved into their current location at Joker Marchant. Henley is a classic old ballaprk less than 1/2 mile from where you’ll see the Flying Tigers play. As for food, just make sure you go to at least one authentic cuban restuarant. If you are dead set on trying the local flavor make sure you order plantains as the side dish. Hope you enjoy the sounds of screaming kids. I went to one of the Charleston Riverdogs games at 11 AM once. It was a field trip for most of the local elementary schools. That was one noisy crowd. Any foul ball turned into pure pandemonium. Looking back, it was fun. I may have to go back to another with ear plugs. Four words: Crabby Bill’s in Clearwater. It’s right next to the beach. The grouper sandwich there is a slice of culinary heaven. Frenchy’s is the place to go for Grouper sandwhich. No comparison! Thanks so much for the observations and recommendations — much appreciated. And, of course, keep ’em coming! I came across your blog because you wrote an article about the NC Baseball Museum at Fleming Stadium in Wilson, NC…thank you! My father, husband & I actually own and operate the Wilson Tobs Baseball Team located at Fleming Stadium and we also own the HiToms, located at Finch Field on the border of High Point & Thomasville, NC. Should your rays of sunshine point you towards NC, I would love to extend an invitation to you to attend one of our games this summer. Emerging in the 1930’s, Finch Field was used by over 30 former HT players as a launching pad to stardom in the major leagues, including Curt Flood, Al Rosen and Hall Of Famer Eddie Matthews. In 2001, the Historic Ballpark was re-vamped and is home to the HiToms, a Summer Collegiate Baseball Team that is part of the Coastal Plain League. The Wilson Tobs is part of the same league, and as you know, Fleming Stadium is rich with baseball history as well. I hope you will check out our schedules, http://www.WilsonTobs.com and http://www.HiToms.com, and consider a visit this summer. Both stadiums offer full concessions and carry on the traditions of America’s favortie pastime while helping to create new memories for all ages. If you are going to Pensacola, skip Mobile and go to Montgomery to watch the Biscuits. Pensacola’s ballpark has a great view of the bay, but Montgomery’s Riverwalk Stadium is first class all around.